Mythic in scope, legendary in renown, the adventures of the mighty Thor are among the greatest that comics has ever seen. 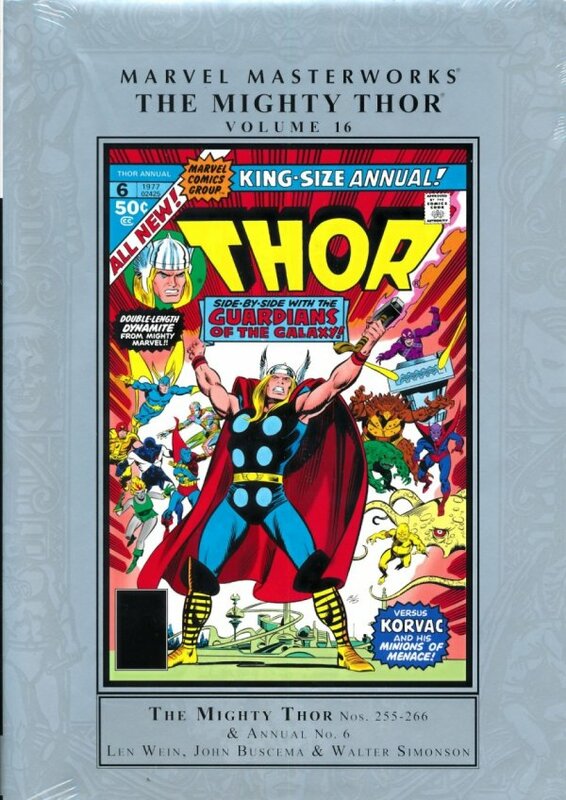 When writer Len Wein is joined by all-time great Thor artist Walter Simonson - not to mention John Buscema, an icon in his own right - there’s no question that what’s in store are Marvel Masterworks! Odin has disappeared. Asgard needs its All-Father, so Thor, Balder, Lady Sif and the Warriors Three venture across the vastness of space to find him. Their adventures will bring them into conflict with the Grey Gargoyle, the Enchantress and the Executioner, the Destroyer - and, of course, Loki! Also featuring a team-up with the Guardians of the Galaxy against the deadly Korvac! 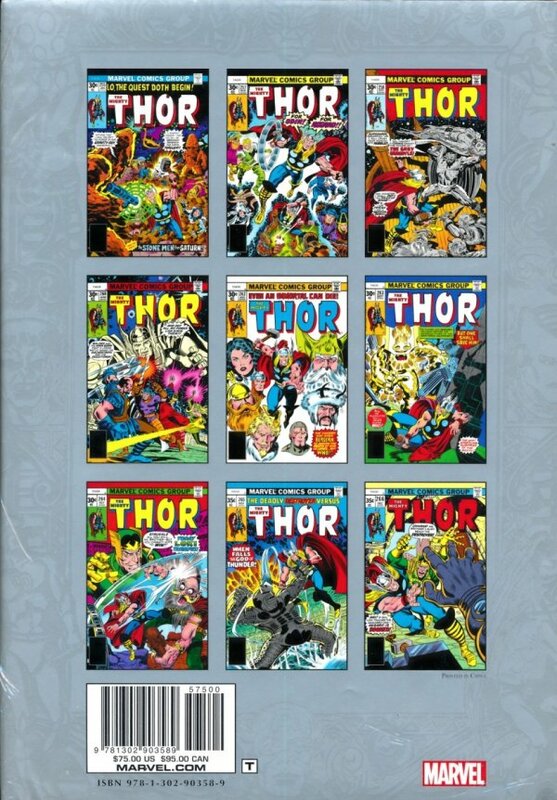 Collecting THOR (1966) #255-266 & ANNUAL #6 and MARVEL PREVIEW #10.